This image says it all! 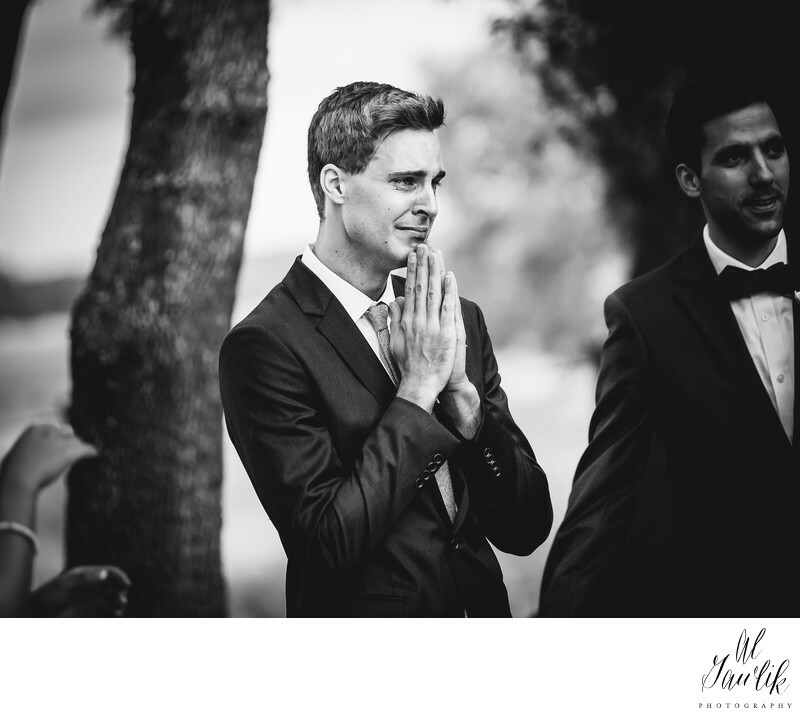 Without uttering a single word you can see the expression of love on the Groom's face as he watches his Bride coming down the aisle toward him. The excitement of the moment, the lump in his throat, and the profound love that he feels for this woman all come together in this image captured by our photographer.